Panama has a wide variety of destinations to fulfill every travellers needs; Internationally renowned surfing beaches, pristine desert islands, indigenous communities, historic forts, colonial towns, the metropolitan feel of Panama City, and let’s not forget the global engineering wonder, Panama Canal. Panama’s diversity extends to its natural habitats, with much of the country still covered in virgin jungle and rain forest. The tropical heat of the lowlands features dense jungle, where ancient trees stand locked in their eternal struggle with thick strangling vines. Just a short jaunt away the cool fresh air of the highlands blows through leafy canopy rain forest still brimming with sloths, monkeys, marmots, and thousands of species of birds. The San Blas region of Kuna Yala, is one of the few remaining pristine desert island getaways with 100’s of tiny palm fringed islands covering much of the Caribbean coast of Panama. Whether you’re looking for adventure or escape, you’ll find what you’re looking for in one of the ten regions below. Due to its compact size you can experience as much or as little of the country as your heart desires. Bocas Del Torois currently the number one vacation destination in Panama, Bocas del Toro offers a Caribbean island experience for any type of trip or budget. Bocas offers every type of accommodations from lively backpacker crash pads to luxurious environmentally conscious, aqua-resorts. For the adventurous traveller, you’ll have a hard time choosing between all the action. Trek the island jungles, surf some of the best waves, do some big game fishing, snorkel or dive among miles of living coral, or kayak around the islands. If you’re looking for some down time, you’ll find isolated beaches, swaying hammocks, spas, and yoga classes to help restore your mind, body and spirit. Foodies will even be delighted by the creative cuisine which reflects the diverse population of the island. Whether you choose the lively mainland action of Isla Colon, the natural beauty of Isla Bastimentos, or the serenity of a more isolated paradise, the six islands which make up this diverse archipelago will leave you breathless. 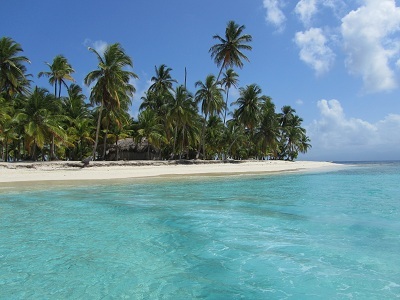 San Blasor Kuna Yala as it is also known, is the jewel of Panama’s Caribbean. This autonomous region is home to the fiercely independent, yet warm, friendly, Kuna people, who will welcome into their world and immerse you their culture. The world famous islands that make up this archipelago, are home to some of the most stunning, white-sand, beaches in the world, while the marine life that share the warm, crystal clear, waters are unparalleled in their diverse beauty. Even the best accommodations in this ancient tribal land are positively rustic by Western standards but its stunningly-simple pulchritude is well worth the sacrifice. 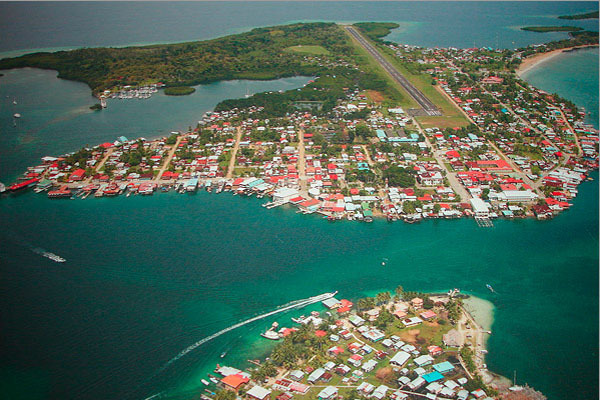 Chiriquiprovince is located just West of Bocas Del Toro. It extends from the lush hills around Boquette beyond the bustling commercial hub of its capital, David, to the western Gulf near Coiba. While the temperate climate, bubbling brooks, and rolling green hills around Boquette continue to make it the number #1 non-island destination for travellers and ex-pats alike, Bocas Brava and the Gulf of Chiriqui continue to lure the adventurous with its pristine beaches, great surf spots and boat tours around Coiba, Central America’s biggest island and stunning protected natural reserve. Coclé province is located on Panama’s pacific side. Stretching along the sandy shores of Santa Clara, Farallon, and Rio Hata, it extends north through rich pastures, beyond the quaint capital of Penonomé, and into the mountains of the breathtaking Parque Nacional Omar Torrijos. If you’re looking to escape the tropical heat and experience culture, outdoor adventure, or quiet beaches, you’ll be pleasantly surprised by this unassuming province. Colón province is located on Panama’s northeastern coast. It once served as as the storage depot for all of the Spanish treasure collected from South America and later became a favourite travel destination for Abraham Lincoln, who frequented the first city founded by freed slaves. It is also the birth place of the Panama Canal and home to Soberania and Chagres National Parks which feature one of the most diverse collection of birds, mammals and reptiles in Central America. Colón province also offers a chance to ride the famous Panama Railway, visit the beautiful Isla Grande, and explore old remains of the once mighty forts which faced-down the world’s most notorious pirates. 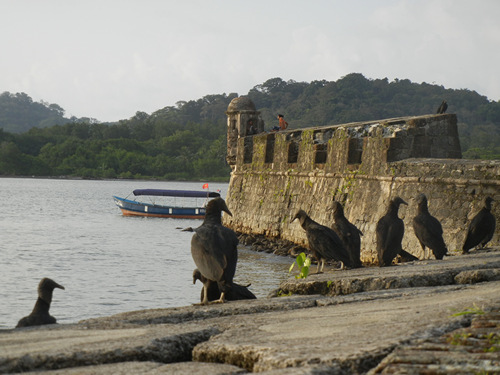 We currently offer fun and affordable action-packed day tours to Portobelo & Isla Grande. 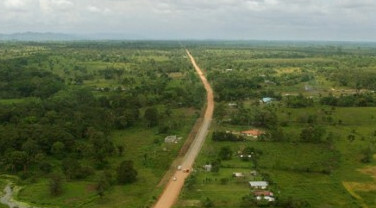 Darién is Panama’s largest and most eastern province. Bordering on Colombia, this ruggedly beautiful land has been largely inaccessible to travellers due to difficult terrain and FARC guerrilla activity which has been reported in the region. Over the past few years a few resorts have popped-up around the National Park giving adventurous travellers access to this unspoiled, sparsely populated region. The area is not only features the jaw-dropping 1.5 million acre Darién National Park, it is also home to several indigenous tribes who have maintained their way of life virtually undisturbed for thousands of years. Accommodations in Darién are rustic but its natural beauty is unsurpassed. Herrera is Panama’s smallest province but what it lacks in size it more than makes up for in soul. Known as the heart of Panama, Herrera is rich in Spanish culture, laden with colonial architecture, and overflowing with lively spirit. 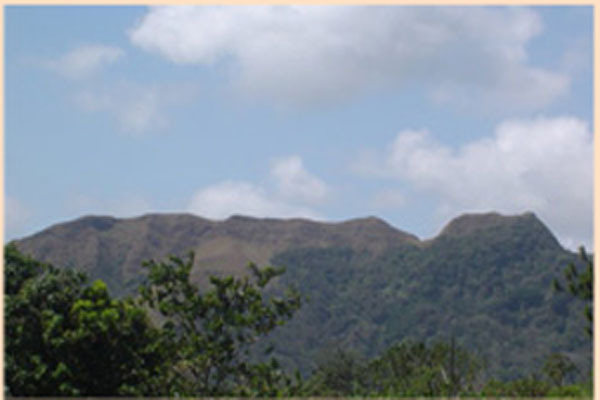 The semi-arid climate is a pleasant escape from the topical heat that surrounds the province, and the rugged rural landscape dotted with ranches, farms, and small towns gives Herrera a unique status in Panama, The province was the birthplace of the Ngöbe-Buglé tribe, and though they forced to flee to Chiriqui by Spanish settlers, their influence can still be seen in the region. Herrera is bestknown for its cultural festivals and parties so if you’re planning on going try to time your trip around one of them, just don’t expect to get much sleep! Los Santos is located on Panama’s most south-eastern peninsula. Although much of Los Santos consists of green rolling hills and farm land, it is probably best known for its world class surf spots and miles of uninhabited beaches. Pedasi and Playa Venao are two popular beach and surf spots not to be missed. You may also want to check out the Isla Caña Wildlife Refuge which is a popular nesting spot for sea turtles and a great place to do some whale watching. White sand beaches and deep blue ocean waters aren’t the only thing Los Tablas has to offer. The province also has a handful of quaint towns that are worth exploring and none more so than Las Tablas. Known for its friendly, fun-loving residents this quiet, picturesque town throws some of Panama’s best festivals and plays host to the biggest and wildest Carnivale celebration in Panama. Panamá is located on the south-eastern pacific. As the home of Panama City, it is the most populated and developed region in the country. This global, commercial, heavy-weight attracts ex-pats, business people, and travellers from all over the world making it one of the most culturally diverse cities in Latin America. The city teems with enchanting restaurants, hot night-clubs, Vegas-style casinos, live music venues, museums, and is home to the National Ballet. It also has national baseball and football teams as well as the always lively horse racetrack. If bright lights and big city aren’t your scene you can enjoy a plethora of other activities such as a visit to the MiraFlores locks, the charming New Orleans-style Casco Viejo, the ruins of the original Panama City, sacked and burnt to the ground by Captain Morgan, the National Zoo, or one of the many national parks located in and around the city. Don’t forget to take a walk along Cinta Costera and visit the bustling fresh fish market! 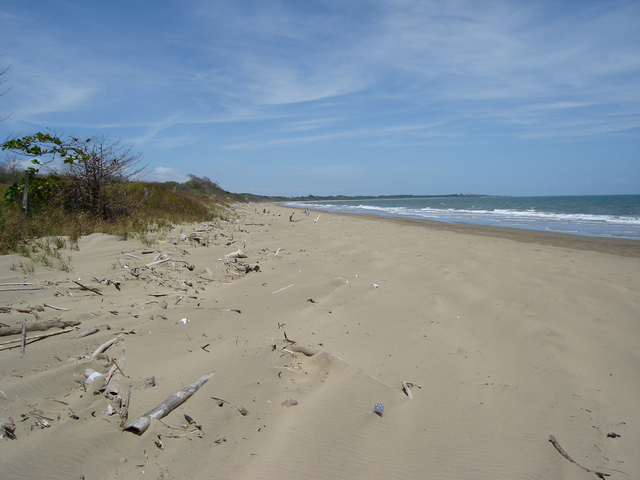 Veraguas is the only province in the world which has both Atlantic and Pacific coastline. 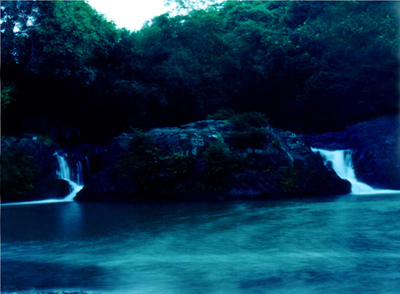 Much like its name suggests (see water), Veraguas is home to some of the most spectacular rivers, waterfalls, and estuaries in the country. While this underdeveloped province lacks the infrastructure found in other regions of Panama, its diverse, unspoiled natural environments makes it a favourite destination among travellers and adventure seekers. This province is also the perfect jump point to the protected island nature reserve of Coiba. While the two coastal regions offer miles of sparsely populated sandy beaches, deep blue oceans, secret surf spots, and surreal dive sites, the natural beauty of Veragua’s interior is well worth a visit. Ancient paths carve through dense, leafy, jungle, past roaring waterfalls, and along rugged mountain ridges, offering access to some of the best bird and wildlife watching in the country. While you’re exploring the natural beauty of Veraguas be sure to check out the incredibly picturesque Iglesia de San Francisco de la Montaña. Its a must see destination!